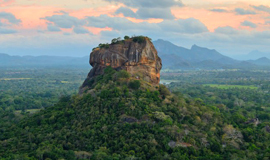 Also known as Lion’s Rock, Sigiriya is a rock fortress and palace situated in the Matale district. Visitors can climb up to the ancient ruins, which are surrounded by gardens, ponds, and magnificent frescoes. The UNESCO World Heritage Site is one of the best ancient sites in the country. Yala National Park is the place to go to see big cats in Sri Lanka. 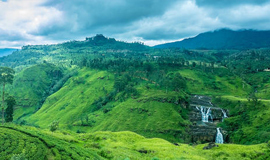 The park is home to the highest concentration of leopards in the world, and it is also an important sanctuary for Sri Lankan elephants and aquatic birds. 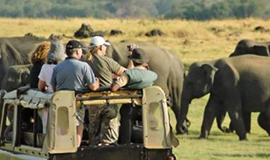 Monkeys, crocodiles, and other critters run around the park’s grassy plains and forest areas. This large city is located on a plateau that is surrounded by the central highland mountains. 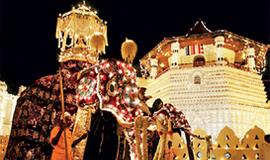 Kandy, a World Heritage Site, is the place to go to get a taste of Sinhalese culture, especially if you can visit during the Esala Perahera festival in the summer. Visit the Temple of the Tooth, which was built in the 4th century and holds a very sacred relic—Buddha’s tooth. Anuradhapura is an ancient sacred city that was established around a cutting from Buddha’s fig tree. 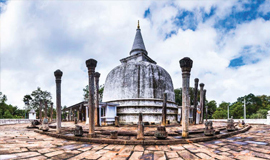 Dating back to the third century BC, Anuradhapura was established by the founder of an order of Buddhist nuns. This magnificent city of palaces, temples and monuments flourished for 1,300 years but was abandoned after it was invaded in the late 10th century. 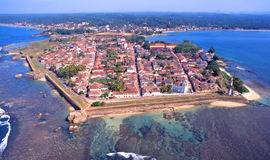 This large town houses the largest and best-preserved cave temple complex in all of Sri Lanka, holding five cave temples containing a huge collection of Sri Lankan Buddhist artwork, including statues, shrines, and murals. The paintings and statues tell stories from Buddha’s life—there are a whopping 153 Buddha statues throughout the complex. 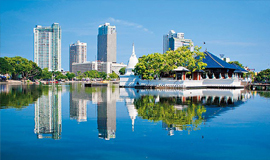 Colombo has been the commercial capital of Sri Lanka for more than 2,000 years when its large natural harbor made it popular with ancient trades from Italy to China. It’s often referred to as the country’s capital, though the legislative capital is located in a nearby city. 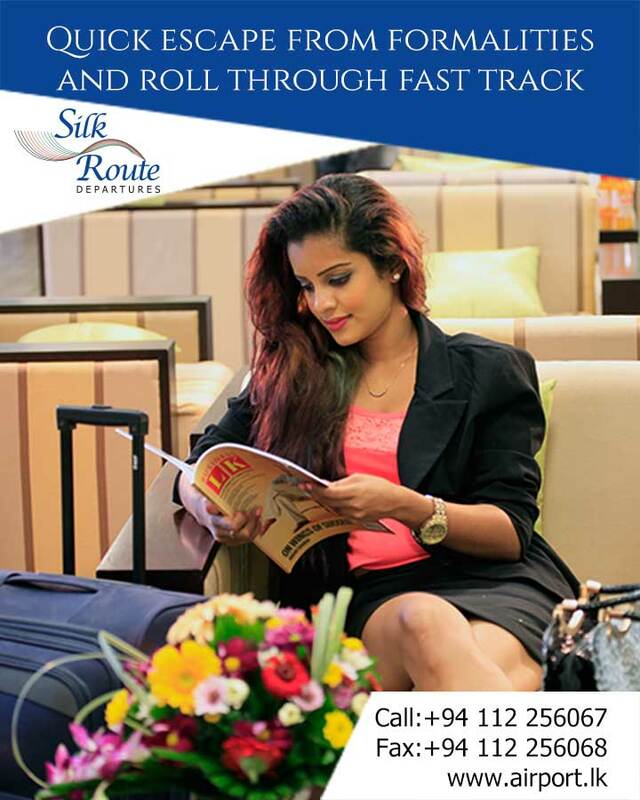 Ruled over by first Portuguese and then British colonists, Colombo is a popular tourist destination. 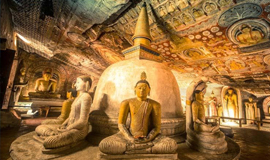 View fine examples of ancient Sinhalese art and architecture in Polonnaruwa. Numerous well-preserved ruins of tombs, temples, statues and other archaeological sites are located in the town. 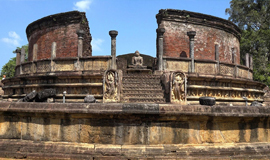 Hundreds of years ago, Polonnaruwa was a capital of the island as well as a busy commercial and religious hub. Don’t miss the historical treasures this World Heritage Site has to offer. This coastal town has magnificent beaches, luxury hotels, and untouched beauty. 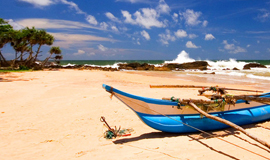 Spend a day soaking in the sun at Bentota Beach, visit the nearby Kosgoda Turtle Hatchery, or find peace in the Galapatha Raja Maha Vihara Buddhist temple. 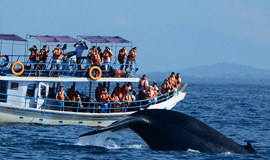 Bentota is a tourist hot spot, so you’ll also be able to partake in activities like helicopter rides and water sports, too.